Many lakes in the Anchorage Bowl are home to nesting red-necked grebes. They build floating nests attached to reeds or other anchor plants in the shallows. 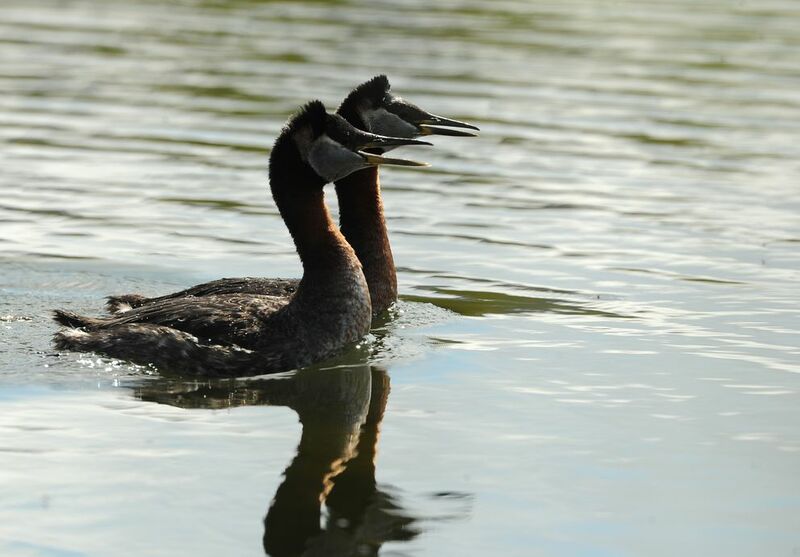 Both male and female grebes take part in nest building and raising the young grebes. 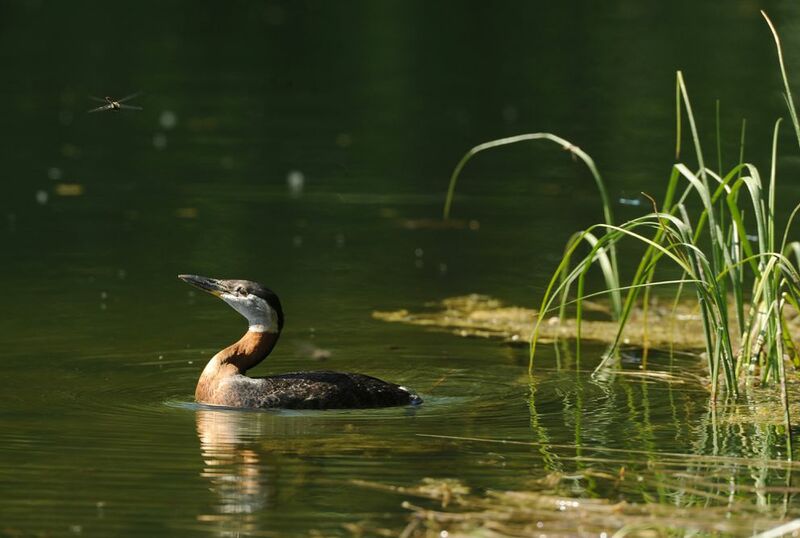 During spring courtship, grebes come together, beak to beak, calling out and, at times, rising up almost out of the water and paddling across the water side by side. Both sexes have brood patches — featherless skin on their underside — and take turns sitting on the nest. 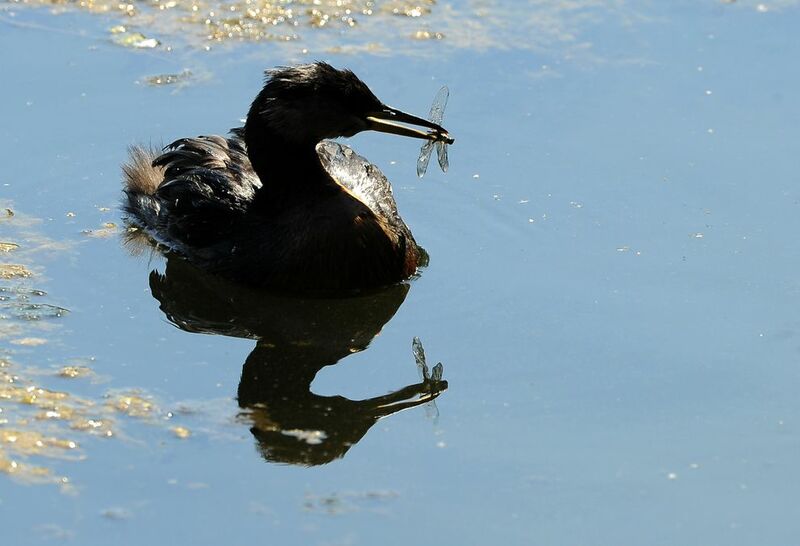 Both feed the young grebes starting with water insects and working up to small fish. 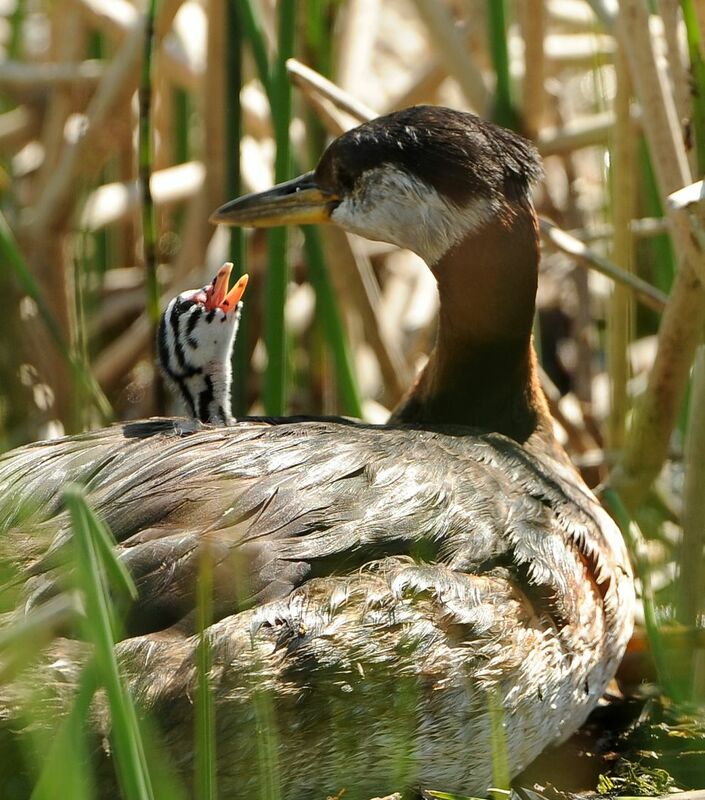 The young grebes, like loons, which have a similar look, ride on their parents' backs. At times, they disappear underneath the adult feathers but sometimes poke their heads out, especially when the other adult swims in with an insect or small fish for them. 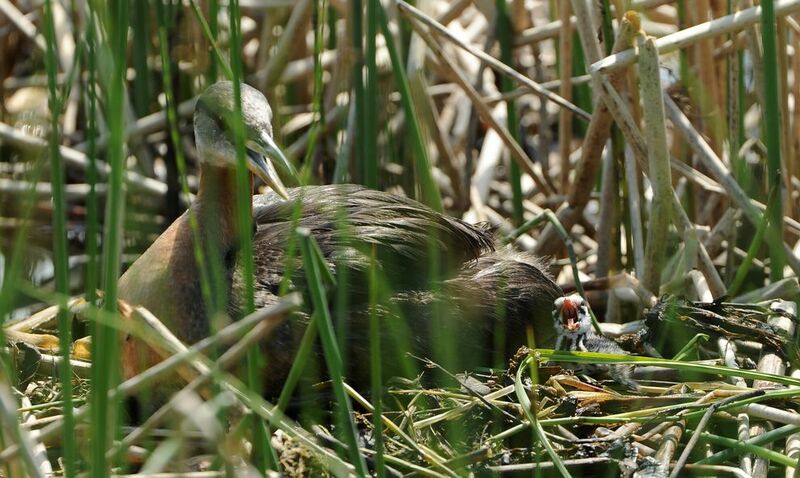 Red-necked grebes lay three to six eggs from early May into June, and the chicks start hatching 22 or 23 days later, according to The Audubon Society Encyclopedia of North American Birds. At the end of August, grebe chicks at Cheney Lake still had their distinctive head stripes. 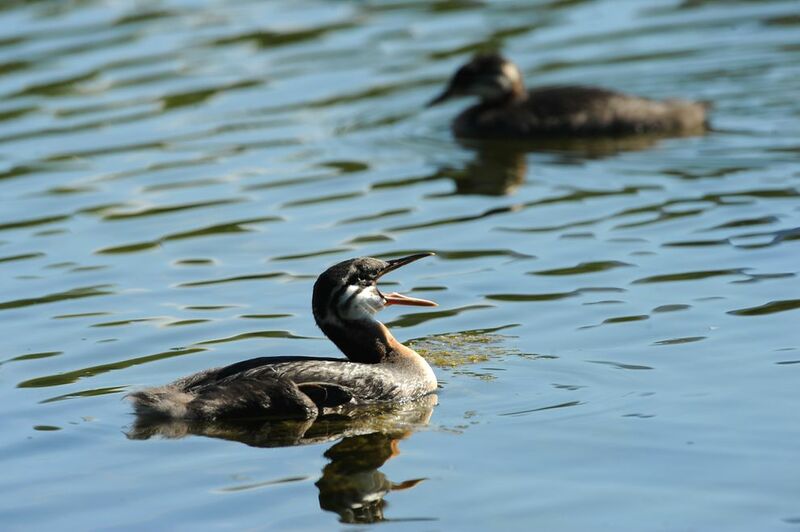 Grebes migrate to coastal waters for the winter, usually flying at night. The night migration is one reason it's hard to see a nesting grebe in flight. They arrive and leave at night and, once on their nesting lake, don't seem to fly at all — though they sometimes flap their wings and race across the lake while "running" on their feet.